Devotions are spiritual exercises that arise from the life of God's people in their efforts to focus on their faith and incorporate it into their daily lives. Most devotions developed gradually over the years and even centuries as people sought ways of living out their faith. 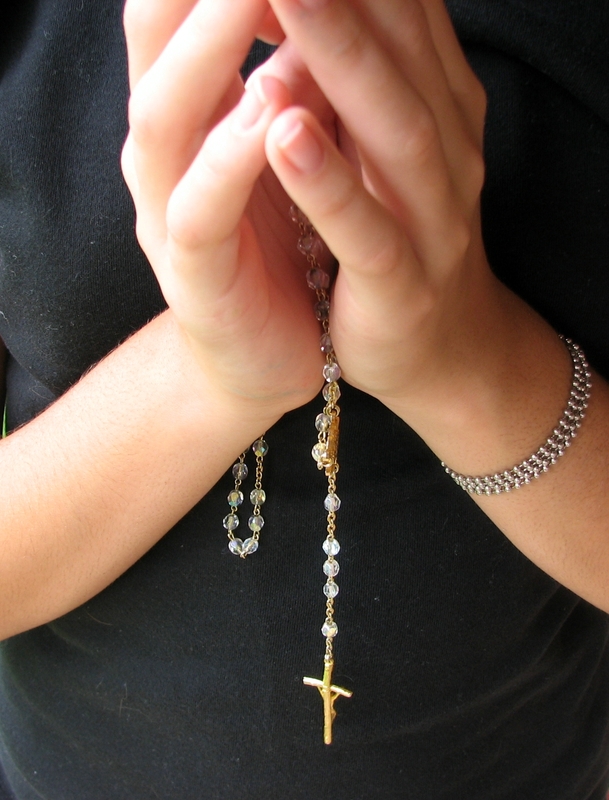 Some devotions, such as the Rosary, have come down to us as adaptations of the practices of religious orders. Devotions are not instituted by Christ (though He is always central to them). Devotions are not required by the authority of the Church (though the Church may choose to approve or prohibit devotions among the faithful). Devotions are not sacraments, nor can they substitute for sacraments; sacraments definitively take higher priority. Devotions in themselves are insufficient; they must flow from and back to the sacramental life of the Church. Done properly, devotions bring us closer to Christ. If they aren't bringing us closer to Christ or (God forbid!) are moving us away from Christ, we need to seek spiritual direction from a member of the Pastoral Staff. Sometimes a "devotion" will spring up that is really... well... not healthy. Not faithful. Not aligned with our Catholic faith. Not really a sound devotion at all. That's why the Church (as a good Mother) will sometimes approve or prohibit a "devotion". Please stick with established, Church-approved devotions or talk with us if you're considering pursuing a newer one. What Are Some Examples of Devotional Practices? Popular devotional practices play a crucial role in helping to foster this ceaseless prayer. The faithful have always used a variety of practices as a means of permeating everyday life with prayer to God... Properly used, popular devotional practices do not replace the liturgical life of the Church; rather, they extend it into daily life. The 150 Hail Mary prayers that are recited for the rosary were an adaptation of the medieval monastic practice of reciting the 150 psalms in the Psalter. For the faithful who could not read or did not have access to books, this was a helpful adaptation.